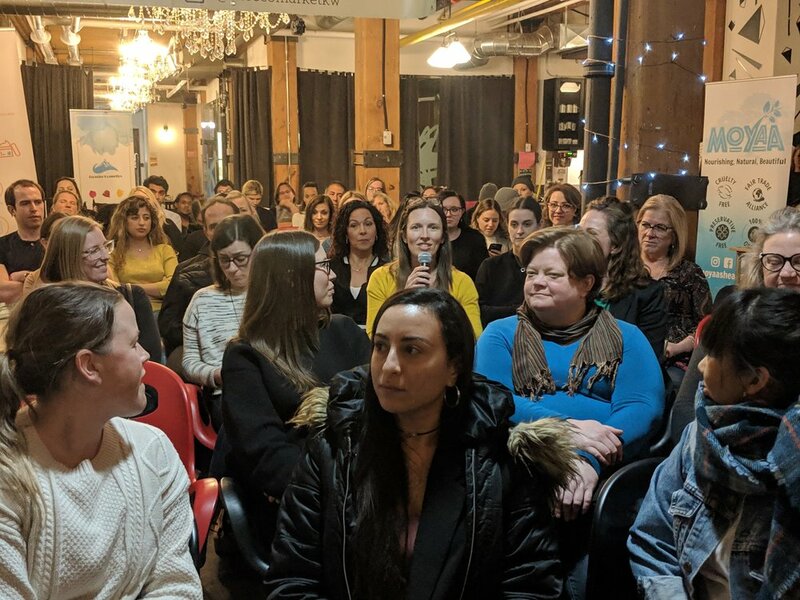 Last night we had our first ever Green Beauty Panel Presentation in Toronto, featuring Dayna Stein from Bare Market, Jenise Lee from Cert Clean, Christian Euler from Phycus Biotechnologies, and our very own Jen Novakovich as the moderator. We also featured a mini market including Make This Universe, Moyaa Shea, Moringa Life Source, Phycus Biotechnologies, Iremia Skincare, Cert Clean, the Canadian Cosmetics Cluster, Bare Market, Boosh and TOK Beauty. Such a great event! Thanks everyone who came out to be a part of our conversation! Here are a few shots from the event! Stay tuned for some audio and video from our panel! Images by the FABULOUS Jennifer Lyon!